A team of MOSAIC Group scientists have for the first time, discovered piezoelectricity in the globular protein, lysozyme. Lysozyme is a protein which is found in egg whites, tears, and the saliva and milk of mammals. The direct piezoelectric effect is the phenomenon that occurs when a pressure is applied to a crystal of a certain structure which then produces a charge due to the deformation of the crystal. The converse piezoelectric effect also exists. This occurs when a voltage is applied to the same crystal structure it will cause the crystal’s shape to deform. Piezoelectric materials are found in a range of applications from resonators to sonar sensing to ultrasound imaging. Biological materials such as bone, tendons and wood are also piezoelectric. 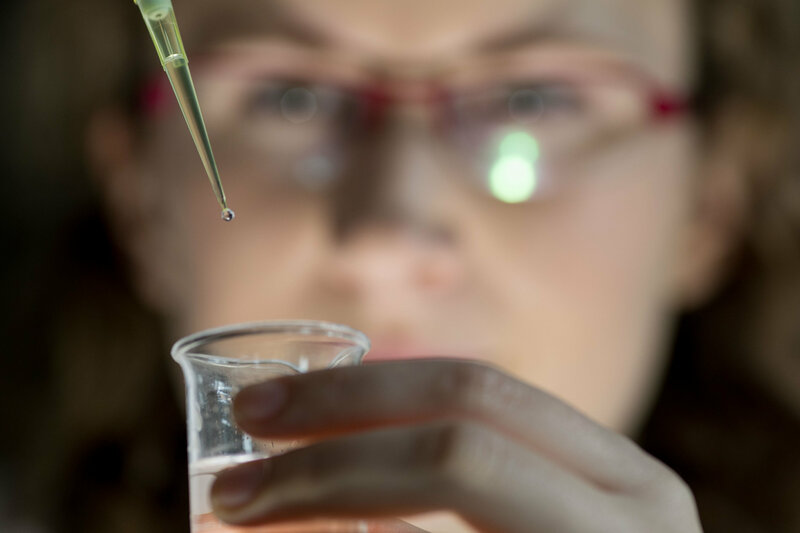 Lead author of the study and recent MOSAIC Group PhD graduate, Aimee Stapleton, explained “While piezoelectricity is used all around us, the capacity to generate electricity from this particular protein had not been explored. The extent of the piezoelectricity in lysozyme crystals is significant. It is of the same order of magnitude found in quartz. However, because it is a biological material, it is non-toxic so could have many innovative applications such as electroactive, anti-microbial coatings for medical implants”. Crystals of lysozyme are easy to make from natural sources. “The high precision structure of lysozyme crystals has been known since 1965,” said MOSAIC Group principle investigator, structural biologist and co-author Professor Tewfik Soulimane. “In fact, it is the second protein structure and the first enzyme structure that was ever solved,” he added, “but we are the first to use these crystals to show the evidence of piezoelectricity”. Professor Tofail Syed, MOSAIC Group principal investigator, and team leader added that “Crystals are the gold-standard for measuring piezoelectricity in non-biological materials. Our team has shown that the same approach can be taken in understanding this effect in biology. This is a new approach as scientists so far have tried to understand piezoelectricity in biology using complex hierarchical structures such as tissues, cells or polypeptides rather than investigating simpler fundamental building blocks”. It is hopeful that this discovery will have far reaching applications and lead into further research in areas of energy harvesting and flexible electronics. One such application may see the use of lysozyme as a transducer for a controlled release of drugs in the body. As lysozyme is naturally biocompatible and piezoelectric, it may be used as an alternative material in piezoelectric energy harvesters, as they tend to use toxic elements such as lead. Lastly the MOSAIC Group would like to congratulate Dr. Aimee Stapleton on the recent submission of her thesis completion of her PhD viva. Aimee is an excellent scientist and a wonderful person and we wish her all the best and continued success for the future.